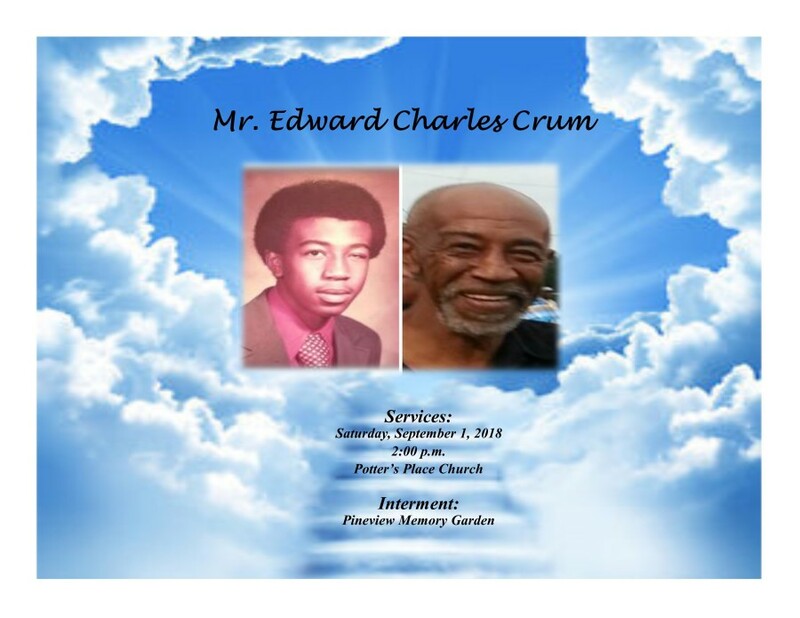 Edward Charles Crum, 62, of Selma, Alabama transitioned on Saturday, August 25, 2018. Services will be held on Saturday, September 1, 2018 at Potter's Place Church with Minister Carroll Bonner, officiating. Interment will follow immediately in Pineview Memory Garden. Ashley's JH Williams and Sons compassionate and courtesy staff humbly thanks the Crum Family for selecting our firm for Mr. Crum final deposition.